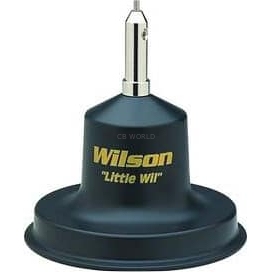 Wilson Little Wil Magnetic CB Antenna is the smallest magnet mount antenna form Wilson. A perfect choice for a short maximum performance antenna! The Little Wil magnetic mount CB antenna utilizes Wilson's exclusive low coil design pioneered in the Wilson W1000 and W500 magnetic mount antennas. The Little Wil is for CB radio operators that need a cost effective high performing antenna but with a shorter whip. NOAA weather ready reception enables your weather channel equipped CB to pick up weather alerts and current forecasts. A large 10 oz. magnet that is engineered to perform while driving at highway speeds or over bumpy roads is strong enough to keep the Wilson Little Wil firmly in place and transmitting strongly. The Little Wil will continuing hanging on long after other antennas have fallen off and lost by the road. 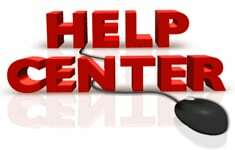 Why waste hard earned money on an inferior magnetic antenna install the Little Wil for the ultimate in performance. The Wilson Little Wil uses 14 gauge wire for maximum power handling. The Wilson exclusive coil winding allows complete airflow to circulate around the wire which can easily hand a full 300 watts. A total height of 38 inches keep the Little Wil to a short compact size that is perfect for any car or truck. When mounted on the trunk deck you'll be able to drive safely straight into your garage without risk of damaging the antenna or car. You'll be able to easily clear the entrance to parking structures without having to stop and remove the Little Wil. Increase your over the road driving confidence with a CB radio and Wilson Little Wil antenna. The Wilson Little Wil is the solution you've been seeking in a compact, powerful two-way radio antenna! The antenna of the Little Wil is a rugged 36 inch talk 17-7 PH stainless steel base loaded whip that outperforms many other antenna systems on the market. The Wilson Little Wil CB antenna is an easy to use magnetic mount that adheres vehicle rooftops, trunk lids, and cowls with a strong 3.5 inch diameter 10 ounce magnet designed to not scratch your autos finish. The Little Wil is ready to connect to your CB radio with a generous 16 feet of high grade coax and PL259 connector.